Here is your list of Week 8 consensus start/sit suggestions. For those new to this feature, each week I go through the start/sit articles that are linked here on the blog and tally up the number of start or sit votes that each player gets. Take a look at this list to help aid in some last minute lineup decisions - note that players are listed in no particular order. I think it's written into baby law somewhere that all newborns shall be dressed up in costume for Halloween, so of course there has been some discussion in our household about the best Halloween costume for our little dude. We went with a prefab football costume (what could be more appropriate, right?) that arrived recently and appears to be made for a freaking 4-year-old not an infant as marketed. We'll see if we can get our dude into it without looking like the droopiest little football, but hey, it's good to know that we now have a costume for him for years to come. More expert accuracy assessment - this one from FantasyPros.com as they look at The Most Accurate Fantasy Football Experts...After 7 Weeks. RotoExperts.com's Week 8 NFL Game Previews look at the Week 8 matchups from a fantasy angle including notes on players you'll want to start and bench from each game. FOX Sports' Week 8 lineup calls: Running backs looks at their top 10 backs for the week plus sleepers and flops. I'll be back by tomorrow with the Week 8 consensus start/sit list! I feel for you, Tony Romo owners. If you missed the news that Romo broke his left collarbone and could possibly be out for the season, then scope out the injury summary here. Now Romo owners I'd like to tell you a tale of my Week 7 quarterbacks. With Peyton Manning and Matt Schaub on bye and my backup (Vince Young) injured, I had some serious holes at QB this past week. I admitted on here a few days ago that I was starting Josh Freeman in one league but what I didn't admit was that I was starting Ryan Fitzpatrick in another league...against the Ravens. By all accounts, a horrific idea. And yet! Freeman and Fitzpatrick both led me to victory (the latter putting up tremendous stats) and while this might have just been a lucky week for me, I would encourage you to be a little bold and play the QB roulette each week. A little stressful but you never know when a free agent will surprise. As Matt Schauf notes in his RapidReactions article, Fitzpatrick is the only QB to throw for more than 1 TD in each game this season. Not too shabby, my friends, not too shabby. Roto Arcade lists a ranking of some possible QBs that might be available in your league in Fantasy disaster: Tony Romo breaks left collarbone. Or see who Razzball suggests both for Romo replacements as well as other positions in Waivering Wire: Romo Edition. The Sports Outlaw's Waiver Wire Week 8 - side note, Jeremy of The Sports Outlaw is dominating in the Buffalo Wild Wings league that we're both playing in again this year - he's undefeated and I like to think of him as following in my footsteps (perhaps I'm just trying to remind myself of my great 2009 season to make up for my lame 2010 season...) - good work, Jeremy, keep it rolling! Sports Grumblings' The Fire Sale talks vicious hits as well as players whose value is either going up or headed down. Hatty Waiver Wire Guru's Week 8 rankings are already up - they're listed by position and updated throughout the week. Tomorrow my Northwestern Wildcats take on undefeated Michigan State, which could be a major coup for the Cats if they can pull out a win. For years Northwestern has been giving me a great deal of heartache - losing games they should have won, or barely squeaking out a big win in OT. They aren't the most impressive team at all but they certainly play to the level of their competitor and I have high hopes for tomorrow's matchup. Mac Bros have their positional rankings start/sit list up - the link here goes to QBs. I'm trying to decide whether to play MJD or Ahmad Bradshaw this weekend - MJD has just not been the guy we all expected when we drafted him and I'm starting to doubt his value as one of my starting RBs. See what ProFootballWeekly.com thinks though in Fantasy Doc: Is it time to sit MJD? Take a look at FantasySharks.com's 2011 QB Keepers through Week Six for thoughts on the top 15 QBs that you'll want on your squad down the road. I love seeing some of my favorite experts listed in FantasyPros.com's Week 6 Accuracy Scores report - take a look to see which experts have been the most spot on with their weekly rankings this season. Your weekly rest-of-the-season rankings are up on Roto Arcade - Shuffle Up & Deal rankings. Particularly helpful if you're trying to determine whether or not a trade is in your best interest. Or you could also scope out ProFootballFocus.com's Market Value Trade Chart - Week 7. And on a similar note, if you're wondering which players are primed for a strong second half of the fantasy season, you'll want to read FantasyOmatic.com's Second Half Breakout Players - it's long but includes tons of helpful details like schedule perks, graphs for those visual learners, and warnings on players who might not be the fantasy hotshots we're hoping for in the regular season and fantasy playoffs. With injuries to Finley, Clark, and Gates all bringing a great deal of grief to fantasy owners, Rotoworld has wisely put together an article with suggestions on TEs to target if your stud TE is injured: Trainwreck at Tight End. Meanwhile it's never a bad idea to have a little heads up on this week's busts - turn to KFFL's fantasy football busts (listed by position) for reasons to keep expectations low for Woodhead and others. Both a good friend from college and my sister are coming over to our place tonight for a little face time with our kiddo, which will be the icing on a pretty solid day. I've got several Week 7 prep links for you tonight - check out the additional waiver wire links as well as rankings and prep tools. Enjoy! ProFootballFocus.com's Waiver Wire - what do you guys think, while James Starks be the next big thing in Green Bay or is it going to evolve into a classic handcuff situation there between Jackson, Kuhn and Starks? I've been using IDP Guru's Waiver Wire Pickup advice for the past few weeks now and have yet to be disappointed; good stuff if you're in need of a new individual defender. Razzball.com's It's Toraining TDs has a bunch of tidbits from last weekend's games that you'll want to know about while preparing for Week 7. Awhile ago I linked to some tools that CBSSports.com is providing this year and thought I'd send you back to their Interactive Running Back Selector tool, which gives you projected fantasy points (including rushes and receptions) for RBs in a manner that allows for easy comparison between players. FFToolbox.com's Week 7: Who to Start Rankings/Projections are up along with their Week 7: Super Sleepers. Yesterday's games were pretty phenomenal with so many going down to the wire...and speaking of wires, I've got lots of waiver wire links for you all today. It's been a bit of a crazy day so my apologies for the quick links below without a ton of commentary. Roto Arcade lists "10 basement bargain buys" for the remainder of the season in First Down: Fitzgerald leads midseason buyer's guide to redemption. LestersLegends.com already has some positional rankings up and rolling for this weekend's games - scope out their Week 7 QB rankings. Happy Friday, the weekend is almost here! Before I put myself and an infant down for a much needed afternoon nap, I've got a bunch of Week 6 articles and advice in case you haven't had enough yet this week. There are several more start/sit links here for you but also some other helpful materials as well. I'll be back by tomorrow with the weekly consensus start/sit list - enjoy! The Hazean's Start & Sit Extravaganza: Brandon Tate, Anyone? For those trying to decide between an RB, WR, and TE for a flex spot, see CBSSports.com's Top 150 flex rankings. If you're in the market for a broader level look at this weekend's games, head on over to FantasySharks.com for Tony Holm's Prognosticator for a game-by-game review of the fantasy scene. Meanwhile, those of you in the mood for a podcast will enjoy FantasyGuru.com's Week Six Matchup Podcast - one of the few items on FantasyGuru.com that's freely available and definitely worth the listen. Need some sleeper suggestions? See why NFL.com is liking up and coming TEs Hernandez and Moeaki among others in Cassel, Britt have sleeper appeal for fantasy owners. Finally, FantasyPros.com is still rolling with their accuracy assessment for expert weekly rankings and have the results of the most accurate experts to date for the 2010 season. For offensive player rankings and projections, see FFToday.com's weekly projections (link goes to QBs). Roto Arcade's Shuffle Up and Deal Rankings - helpful for those looking for rest-of-the-season rankings. I'm in the market for more season rankings so if you have any you like in particular, let me know in the comments. Always an insightful read, scope out Stephania Bell's injury blog on ESPN with an injury recap by position in this week's article Bad news, good news for pair of Packers. This morning I realized once again that I'm living in some bizarro baby world bubble - I rolled on out of our apartment building with crying baby in tow, hoping that a bumpy stroller walk would silence the little guy, and as soon as I walked out the door it was incredibly obvious that my flip flops and lack of a jacket were a bit light for today's fall weather. Instead of scoping out my uber-helpful Accuweather app on the ol' iphone, I had just skipped on out assuming sun = warmth. False. It's becoming apparent that I might be managing some of my fantasy teams similarly: essentially forgetting about the world of players outside my teams; I need to expand my horizons a bit. I've been focusing a bit too much on making my own players fit for each week while not really expanding my scope or getting the bigger picture of which guys have potential down the stretch. I feel a little nuts but I'm starting the Falcons D this week to fix a bye situation. They've been surprisingly strong this season when you look at the fantasy stats but somehow that had completely escaped my attention - so I encourage everyone to just take a look at who is sitting out there on your waiver wire just in case that player/team might be a step up from the guys already on your team. Check out NBC's Fantasy Fix video for some thoughts on a plug-in for Rodgers if he can't play and other good pickups for the week. Or for other waiver wire ideas, see Matthew Berry's Hot dog! Week 6 pickups! Ultimate Fantasy Football Strategy's Understanding Defenses after Week 5 looks at how defenses have done against each of the offensive skill positions plus kickers and Ds. Interesting stuff if you haven't looked at this sort of info in the past. The Sports Outlaw's weekly cheatsheet is up for your review - note that they update the cheatsheet until game time. Football Outsiders' Audibles at the Line: Week 5 is always one of my favorite summaries from game day and now that I'm a bit distracted by the presence of a baby, I find it even more helpful and entertaining of an article to hit up on Mondays. FantasyFanPlay.com's review of this week's games remain incredibly thorough - worth a look for sure. Whenever someone is described as having "Gumby flexibility" well then you've got my attention. Even better when it's a Bronco. Roto Arcade takes a look at a surprise gem at receiver in First Down: Is now the time for Brandon Lloyd owners to cash in? FantasyPros.com talked to 5 experts about their thoughts on sleepers and busts for the remainder of the season, as well as which part of a teammate tandem they'd rather own (ex: LT versus Shonn Greene or OchoCinco vs TO) in Featured Pros: Rest of Season Sleepers and Duds. If you're looking for advice on guys that you might want to buy low or sell high on, see FFArmory.com's Stock Report - Week 6. Finally, there were several injuries you'll want to be aware of - check out KFFL.com's Post-game injury report - Week 5. We've got one more guest post for you before I return to the land of the fantasy living. Our son, Nicholas Wilson Holladay (adorable dude on the left), thanks you all for being patient. Ryan from LestersLegends.com brings us another guest post today full of links with Week 5 links - enjoy and if you've seen some new resources here that you like, be sure to let me know as I'm always open to scoping out new links. Greetings fantasy football world. I'm back for another guest spot while Sara is teaching her baby boy the intricacies of the West Coast Offense. We're a quarter of the way through the season and it's a buyers' market. I'm here to navigate the players you should be targeting like Joe Flacco, whose fantasy playoffs schedule is ultra soft, as well as which ones to avoid. The Fantasy Football Armory won't be making fans with the Librarian recommending selling Brandon Lloyd and Eddie Royal, but with a quartet of capable WRs and the return of Knowshon Moreno, I can see the logic. FF Toolbox has a list of players to downgrade for Week 5 including Marques Colston. No-Offseason.com discusses the Marshawn Lynch traded in this week's risers and fallers article. FFToday looks at who's Moving Up and Who's Moving Down. Darren McFadden's latest injury has Michael Bush signing The Jeffersons theme. The Bruno Boys take a look at which players, like Alex Smith, should go straight to the waiver wire without passing go or collecting $200. Ryan Torain is one of this week's teacher's pets in the Rotoprofessor Week 5 Start/Sit article. KFFL has Sam Bradford and others among their Week 5 Sleepers. If IDP is your thing, check out Hatty's Week 5 IDP Waiver Wire Pickups. Greetings my fantasy football friends! I'm slowly adjusting to life with a baby and am coming back to the land of fantasy football (I don't even know how I did in my leagues last week, how insane is that?!) and should have the consensus start/sit up for you by this weekend, but in the meantime I've got one or two more guest posts for you. Today's guest post is from my friend Matt Schauf at RapidDraft.com who is talking something near and dear to my heart: stats and knowing how to read/assess them correctly. For those looking for the standard links, they're coming soon but I really like Matt's post today...and of course should reiterate how much I appreciate his help as well as the help I've had from Ryan at LestersLegends.com. 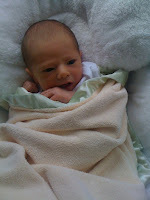 Oh and I promise to post a baby update for those who are actually interested with my next post! I’m not a fool. I know that you folks visit Sara’s site for two things: 1) semi-regular baby updates, and 2) links fantasy football stuff in various other places. Well, you’re going to be disappointed today. My two girls are old enough to walk, fight and answer their father in a sarcastic tone (and the second isn’t even 2), and Ms. Holladay’s gone dark, so I have no idea how her family unit is operating. As for the links, I’m illiterate. Sorry. It’s not something I’m proud of. It’s true, obviously. Numbers don’t lie because they have to either be based on something that they’re counting or have been made up by some lying person. Even in that second scenario, they can’t really take the blame. The problem, however, is that numbers don’t analyze themselves (though I wouldn’t judge them if they did). People take real numbers and draw their own conclusions from them, too often explaining away points with, “The numbers don’t lie.” They might not, but they sure can be misleading if you don’t look at them the right way. One really easy place to be misled by numbers is when studying fantasy football matchups. The season is already so short that it presents small-sample issues for statheads, and that’s only amplified when you look at a segment of the short season. It becomes foolish, then, to rely on the overall view of that small, small segment, and I’ve picked out a few examples to try to illustrate why. My favorite resource for fantasy points allowed and other similar stats is FFToday.com – which is very user-friendly and easy to customize. After entering my own scoring particulars, a quick check of the rankings shows that Washington has been the fourth most generous defense to opposing passers so far. That would make Washington seem like a no-brainer matchup to exploit for any fantasy quarterback, but it also ignores the inflation from the Houston game. Take out Matt Schaub’s 497-yard, three-touchdown day, and you remove half of the scoring passes that Washington has allowed this year. You’ll also get a scoring average that drops to 16th in the league. This defense may still prove vulnerable against the pass, but only one of four opposing quarterbacks has produced multiple scores so far. The Raiders have faced just 97 pass attempts through the first four weeks. That doesn’t make up the league’s lowest total, but the three teams behind Oakland already had their byes. With that in mind, low passing totals seem pretty logical. Of course, each of the quarterbacks who logged so few attempts also put up two touchdown passes on the Raiders. I’m a bit more willing to believe in the Dolphins than the Raiders here, but Miami’s ranking also doesn’t reveal the full picture. For starters, each of the three interceptions Miami has grabbed so far came from Brett Favre. That means the team played Trent Edwards (Week 1) and failed to pick him off. That should count for points against them. Otherwise, Miami allowed Mark Sanchez to throw for 256 yards and three touchdowns and held Tom Brady to meager numbers on a mere 24 attempts on a night where he didn’t have to do much. I like CB Vontae Davis and OLB Cameron Wake, but there seems to be vulnerability elsewhere. We’ll see how much when the Dolphins return from bye to face Aaron Rodgers, Ben Roethlisberger, Carson Palmer and Joe Flacco. The biggest thing that stands out here is that the Giants have yielded just eight receptions to running backs. Perhaps they’ll just prove to be good at defending against that, but we don’t know yet because they haven’t faced that many targets. What they have done is allow 125 yards and two touchdowns to Chris Johnson (who hasn’t? ), 92 yards to Joseph Addai and 69 yards on 16 carries (4.3) to Donald Brown. Those aren’t terrible numbers for a defense to give up, but they also aren’t stellar. The Giants did limit Carolina’s runners, but we’ll see what Arian Foster does to them this week. The Texans probably still carry a stigma for many a fantasy player of being generous to opposing runners, and the current ranking in points allowed will only feed that. However, whereas the Giants haven’t had to contend with much passing to backs, Houston has seen the fourth most running back completions in the league. It has also seen four rushing scores, a collection that includes three touchdowns from the 1-yard line and one from the 2. The biggest yardage game has come from Marion Barber, a whopping 55 yards on 17 carries, and Houston has yielded the seventh lowest rushing average – a fraction of a yard lower than the Vikings so far. Ahmad Bradshaw remains a decent play because of the work he’s getting and the likelihood that his team’s passing game will get close enough for several scores, but his matchup isn’t terrific this week. You know who’s even more fun to run against than Houston? The Niners. Then again, if you take out the 192 yards amassed by Thomas Jones and Jamaal Charles, San Francisco has yielded just a 2.9-yard rushing average. The Saints accounted for many other PPR points with just the eight catches of Pierre Thomas (plus four from Reggie Bush before he broke a leg). Of course, taking away one game from a set of four only worsens the small sample size problem, so let’s just say the jury’s out on this run defense. I’m tempted to believe that a defense that has been tough to run on for the past several years will prove so again this season, especially after it held Michael Turner to 50 yards on 16 carries last week, but I’m willing to consider the alternative. So there you go. Numbers abound these days, and the folks interpreting them will assure you that numbers don’t lie. Just make sure you figure out exactly what you’re looking at before you follow, though, because people aren’t always as smart as numbers. Greetings from new baby land. Many thanks for all of your kind words and congrats; I'm floored by your thoughtfulness. Now as promised, a guest post from the generous and helpful Ryan of LestersLegends.com. Good luck in Week 4 games! Fear not loyal Fantasy Football Librarian readers the show will go on. Everybody's favorite fantasy football researcher is spending some time with her husband and new baby, but she has you covered with Week 4 sit-start advice. Before I get started I'd like to congratulate Sara and her husband on the new addition to their family. Now the major question is will he be raised a Broncos fan or a Colts fan. LestersLegends likes McNabb in the Eagles-Redskins Grudge Match. The Rotoprofessor is giving extra credit to Kyle Orton. Bruno Boys are backing DeAngelo Williams among others. Fantasy Pros 911 are standing by with their help. Fantasy Knuckleheads are serious business with their Sam Bradford endorsement. Walter Football has advice for every game. See what Paul Charchian thinks at Fantasy Victory. See what you can dig up at Junkyard Jake's. Fantasy Pros offers the consensus pick of 30+ industry experts. Fantasy Football Trader Weekly Special.